What a fitting tribute to our Gregg Bemis! All his life he has been a yachtsman, competitor, maker of the rules, and a solid supporter of the sport of yacht racing. This trophy was donated to US Sailing by the sailors associated with Mr. Bemis as regatta officials in Junior and Inter-Collegiate competitions in recognition of his contributions, too numerous to mention, to these facets of yacht racing among young sailors in the United States. 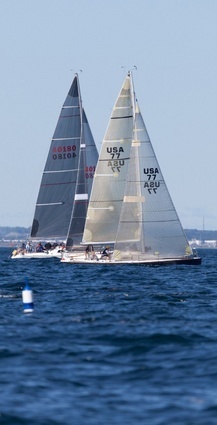 It was first competed for in 1975 and is sailed concurrently with the Sears and Smythe series.